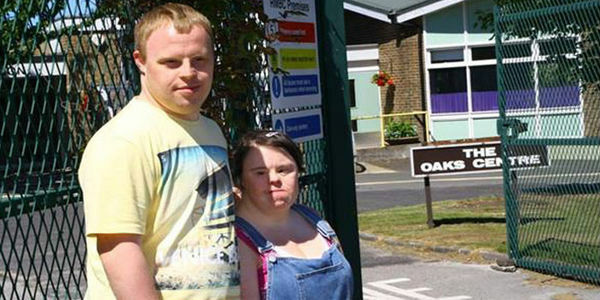 My sister Jenny and her boyfriend Sam, pictured, attend the Oaks Centre - a Learning Disability Centre in Rotherham. They love to go to the Oaks and do the ordinary things that they enjoy - Jenny enjoys drama and working in the cafe, and Sam enjoys playing in the band and growing vegetables in the greenhouse. They both enjoy seeing their friends at the Centre. If the Centre closes they won't be able to do any of these things and they'll become bored and lonely. Demand that Rotherham Council reverses the decision to decommission (close) its Learning Disability Centres. The Council says that the closures will help to integrate the 750+ service users into their local communities and allow them to do what "ordinary people" do. The Council says that each service user will have an individual assessment to determine their needs. In other words the Council has approved the closure of the centres BEFORE assessing what resources are required. This makes no sense and will leave some of our most vulnerable citizens without the services they need in order to lead enjoyable and meaningful lives. Thank you for your support for our campaign. The response has been overwhelming with more than 37,000 signatures. Please share the petition with your friends and family and on your social network sites so that we can get even more support and force Rotherham Council to reverse the decision to close these vital centres. Thanks again for your support. Wow! The response to our petition has been unbelievable and has exceeded our wildest expectations. 29,000 signatures so far. Please share and encourage your friends to sign too. Thanks for your support. It really is appreciated. Wow, more than 900 of you have signed our petition in just over 24 hours! That's fantastic and thank you all. We NEED 2000 signatures so that RMBC has to hold a debate but we'd really LIKE to get more than 6600 signatures, which is the biggest petition the Council has ever received (also about the closure of our centres).